Home / back pain / What is Lumbar Total Disc Replacement? Our spines are put through a lot of bending and twisting over a lifetime. The intervertebral discs between the backbones, or vertebrae, act as cushions, helping absorb the stresses placed on the spine. Aging, disease or injury can result in degeneration of the discs, reducing their cushioning ability. Disc degeneration can result in back pain and restricted motion. When the disc degeneration results in pressure on the spinal nerves, symptoms of radiating leg pain (sciatica), numbness, and weakness can be produced as well. The lumbar, or lower region of the spine is especially prone to degeneration of the discs and this is a frequent cause of chronic low back pain. Most low back pain is managed with activity modification, exercise, and medication. Patients who don’t respond to conservative treatments now have an additional surgical option: Lumbar total disc replacement. Lumbar total disc replacement is a surgical procedure in which a spinal disc in the lumbar, or lower region of the spine, is removed and replaced with an artificial disc. Also referred to as total disc arthroplasty, this spinal surgery may be indicated chronic and severe low back pain due to a degenerative or disrupted disc (degenerative disc disease).. Performed using an incision in the lower part of the abdomen, the orthopedic surgeon removes the damaged disc and associated tissue and spreads the vertebrae on either side of the disc back to their normal distance apart. The artificial disc is then inserted between the bones. At The New Jersey Spine Specialists, the procedure typically takes 1 hour and most patients go home the next day. Performed in Europe since the 1980s and approved by the FDA in 2004, lumbar total disc replacement is an alternative surgical option to lumbar fusion. In spinal fusion surgery, the adjacent vertebrae are fused together, which eliminates the natural motion that occurs between the vertebrae. 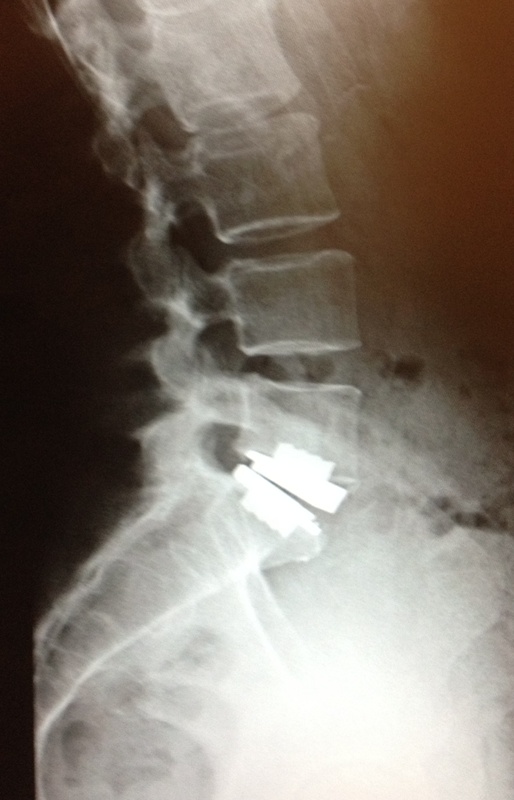 In contrast, lumber disc replacement allows patients to retain the natural motion of the vertebrae. As our orthopedic surgeons at New Jersey Spine Specialists in Summit explain, the majority of patients respond to conservative treatments such as physical therapy and medication, and never need back surgery. Thus, disc replacement is usually considered the last step in a long line of treatment options for patients with chronic severe low back pain.